An undergraduate degree in Australia is commonly known as a Bachelor Degree. It can be general, specialist or double, and can be extended by an Honours year. Diplomas are a shorter undergraduate study option. Master's Degrees and research degrees (PhDs) are graduate degrees. For more information, please visit graduate degrees. A bachelor degree covers a broad base of knowledge within a chosen area of study. Students can choose to specialise in some subjects to suit their interests. For example, within the general Bachelor of Commerce, students can specialise in areas such as accounting, management or marketing. A single degree usually takes three years, sometimes four or five depending on the area of specialisation. Specialist degrees are tightly structured and designed with specific careers in mind. For example, the Bachelor of Radiography and Medical Imaging is a specialist degree. It is designed to train students for a career as a radiographer. Students can specialise in two areas and graduate with two qualifications at the same time. This is why it is called a double degree. A double degree takes less time to complete than doing two single degrees. Double degrees may require more hours of study, but usually only take about four years. For example, a Bachelor of Arts/Bachelor of Engineering is a double degree. More information about double degrees. Diplomas are a structured set of subjects, recognised as a level of study tertiary study. They are not as highly rated as bachelor degrees, but take less time to complete. Students can study a diploma on its own, or alongside their main degree. This is ideal when a student is interested in an area of study outside their main degree. For example, a student can study a Bachelor of Arts and a Diploma of Languages at the same time. They will graduate with two qualifications without having to do a double degree. A pathway diploma is a one-year bridge between school and university. 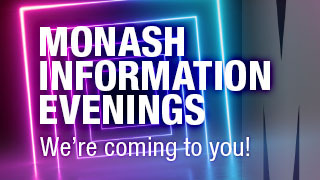 It is a program offered by Monash College. 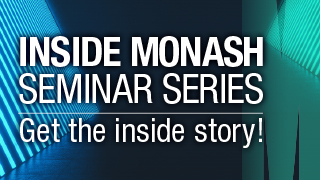 Successful completion guarantees entry into second year of selected Monash University degrees. 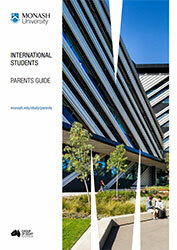 The Diploma of Tertiary Studies provides an entry pathway for students who may not be able to access courses at Monash.